Why we have to store image into Mysql database in place of store image info folder, there is one benefit is that if we have store image into database then it has been load faster than image load from folder. There is one another benifit is that image which are store in database is not cache in browser, while image load from folder has been easily cache in browser. There are some more other benifit for storing image into database. 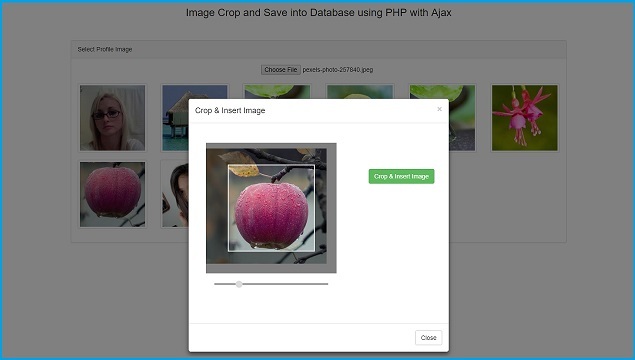 So, Here we have do two operation like first we have crop image by using jQuery plugin, and after crop image has been inserted into mysql database. My brother and how to send the user or user ID that logged in to the tbl_images table.